When treating a wasp nest it is never known how explosive the reaction will be. Most nests will react strongly with a small number of extremely aggressive individuals. Some nests like this one literally explode with all the individuals highly aggressive. It is probably due to factors such as ambient temperature and dust penetration/nest destruction. If you ever attempt doing wasp nests yourself it is best to do them in the night time. Make sure you know exactly where the entrance hole is and treat using a dust. Wasps are cold in the night and don’t see well in the dark so there is practically no reaction. If you wish to have us do it for you follow the links below. 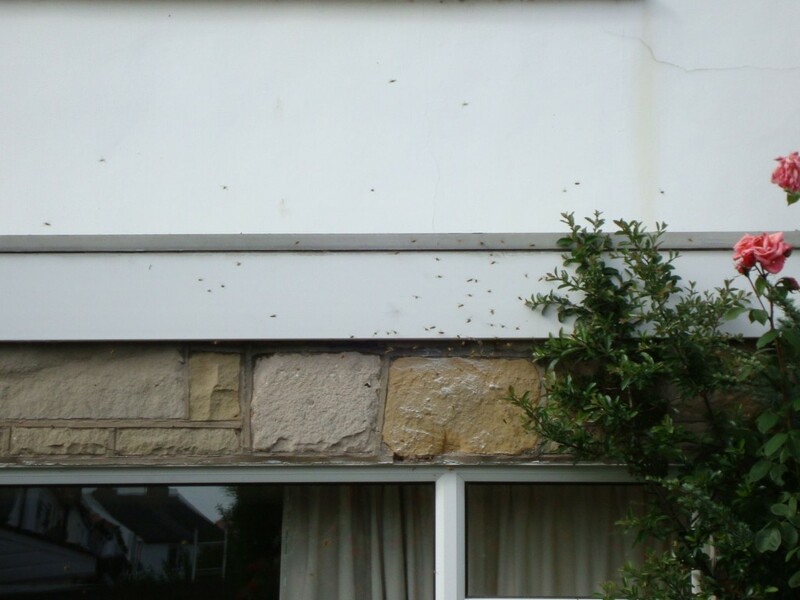 For more information on wasp control click here. 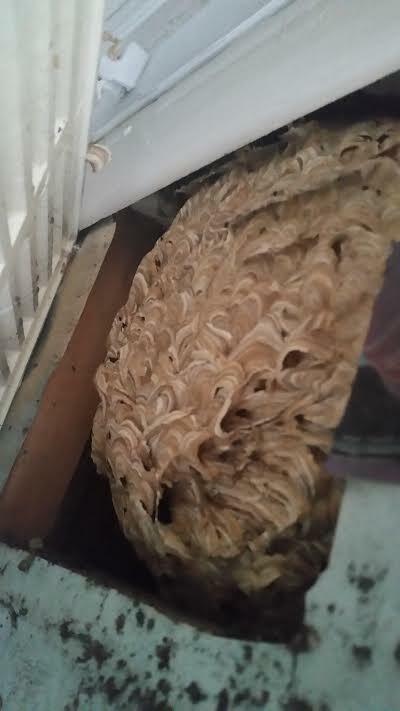 A customer was luckily alerted to a stream of wasps going in and out of their shed. 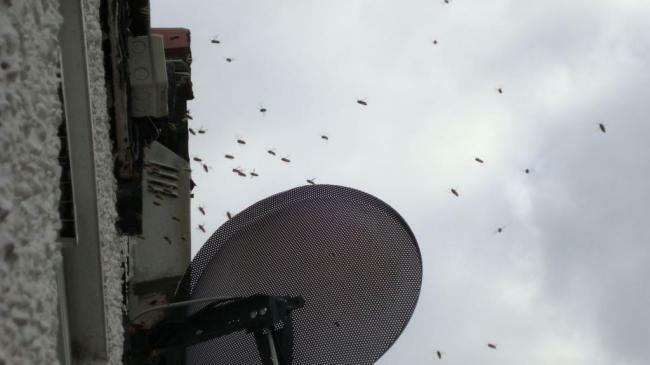 They called us to deal with it once they had peered through the shed window to see the wasps going in to a set of draws in the shed. 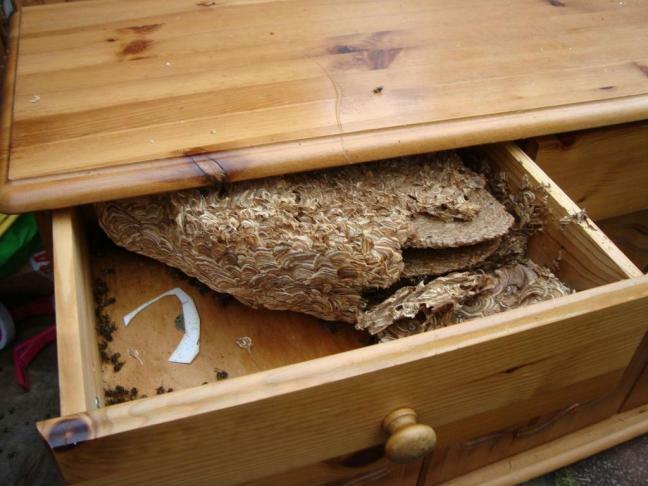 It could of been a very nasty surprise if the shed or draws were opened and the home owner wasn’t aware of the wasp nest hidden in the draws. The worst case of a hidden nest by one of our customers was tucked in a folded sun lounger. She was badly stung multiple times around the face and neck. An ex colleague once was caught out treating squirrels in a roof space. Pulling up insulation looking for the squirrels dray (nest) he unfortunately tore a nest apart. He was stung 27 times around the face. His daughter didn’t even recognise him in the hospital. Wasps are certainly an animal not to be messed with! For information on our treatments click here. People often ask if their wasp nest is large compared to others. There are many things that affect nest size. The most important thing is food availability. With low numbers of prey animals in an area wasps will not do as well as another nest that has an abundance of insect prey. The nests location also affects how well the wasps will do. A nest in a tree or conifer often will not be as big as a nest in a roof space. The nest in the roof has the advantage of warmth from the house and its insulation. 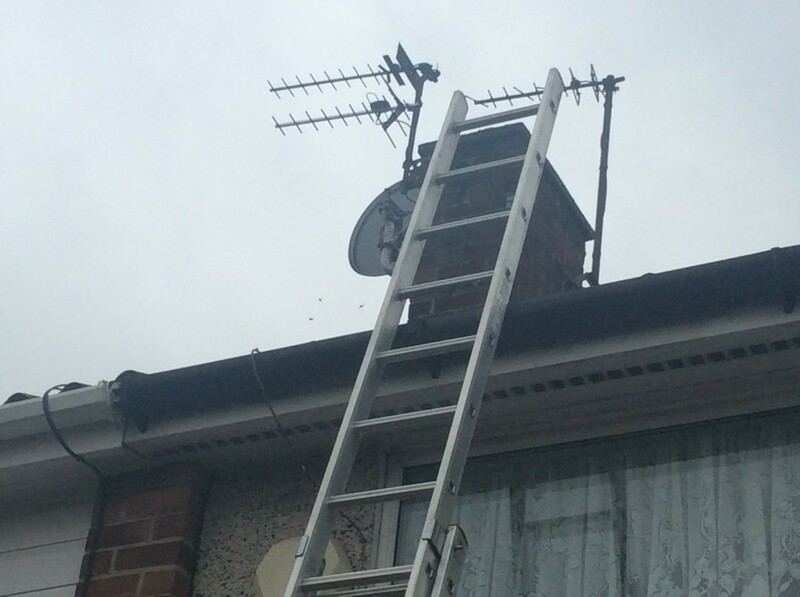 The nest shown above was a nest that was treated in Northwich yesterday. It is a fairly average nest that would be found in a roof space at this time of year. Some can however be much bigger or much smaller. 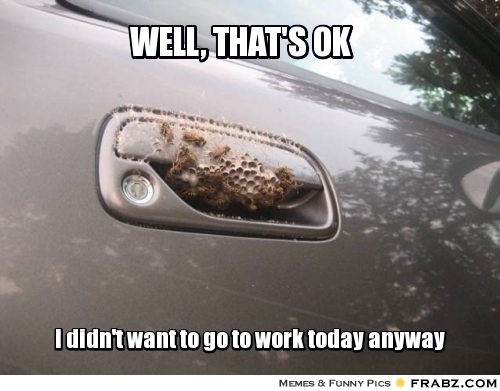 For more information on wasps and how we treat them click here. A nice big wasp nest treated in Aintree yesterday. 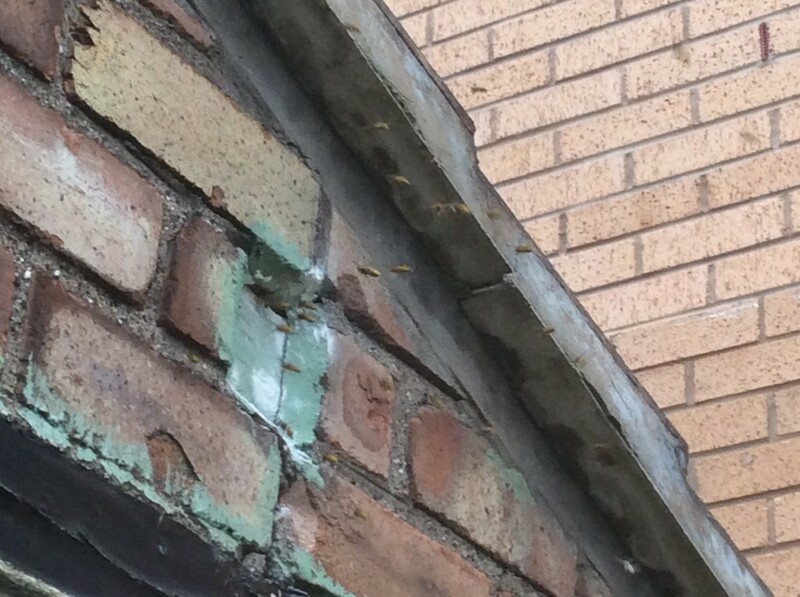 The wasps were extremely aggressive after treatment. We treat wasps for £40 and guarantee our treatments. 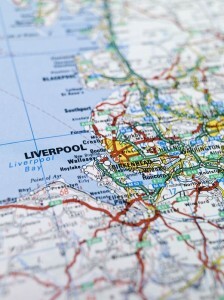 If you need to call us back a retreatment is entirely free. Click here for more info on wasp control. More wasps. 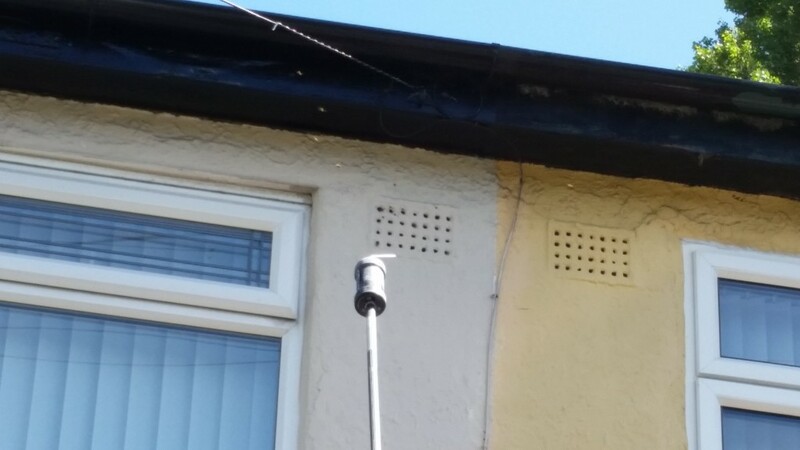 This time the customer had been having her utility room fill with them as there was a hole in the internal part of the ceiling allowing wasps to become trapped. Luckily she had not been stung. 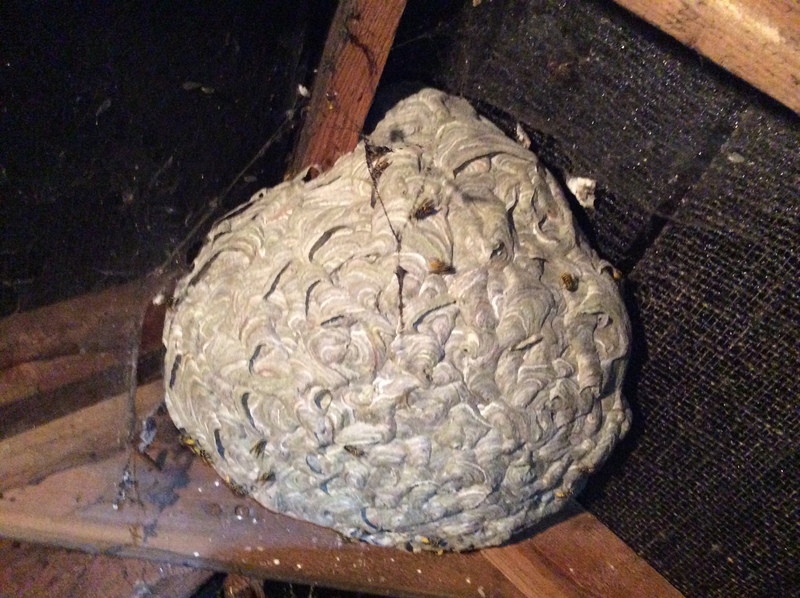 A wasp nest in a house in the Wirral. 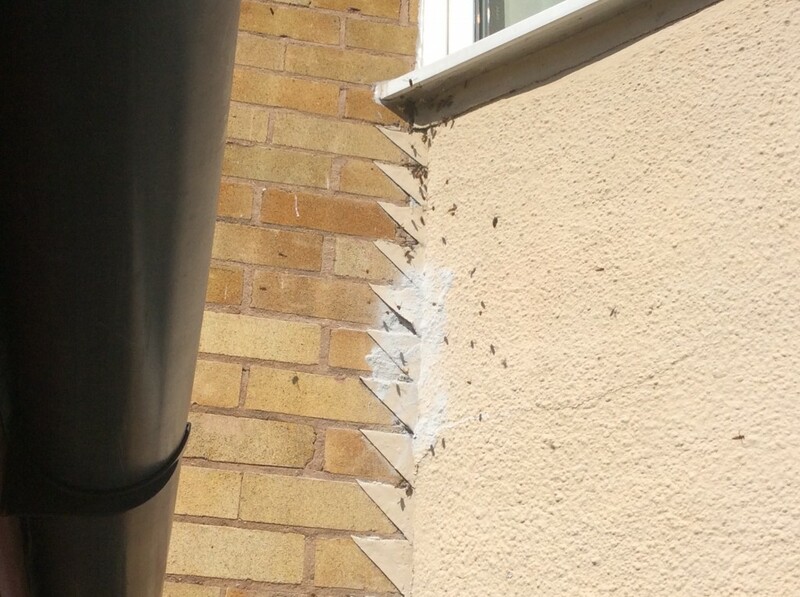 With the 2 entrance holes treated the wasps outside cant find the holes so they don’t reenter the nest but walk up the wall to the window ledge. 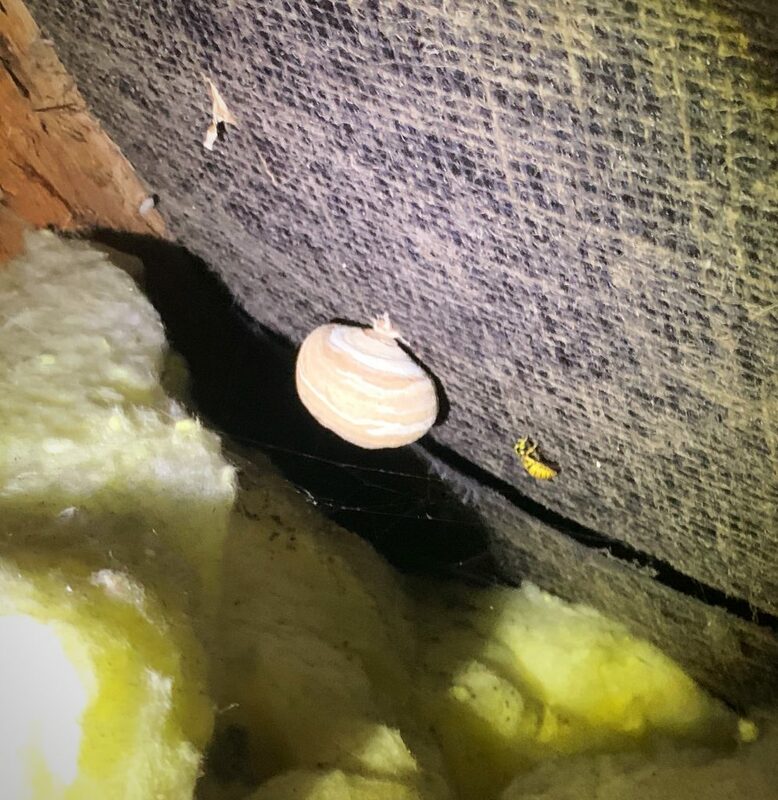 A customers wasp nest from inside an air vent in her house. She very bravely took off the cover to take this photo. She also took the second photo of the nest being treated.